Located off Carothers Parkway, the Cool Springs East Subdivision is a single-family home development in Franklin TN (Williamson County). Popular streets in Cool Springs East Subdivision include Bateman Avenue, Broadwell Circle, Cliffe Run, Savannah Way, Tinnan Avenue and Walters Avenue. 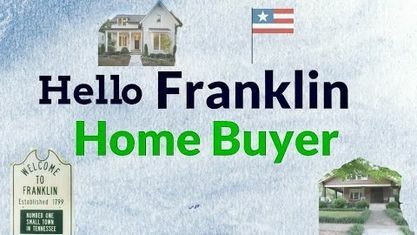 Other nearby Franklin Subdivisions include Amelia Park Subdivision, Ashton Park Subdivision, Avalon Subdivision, Carronbridge Subdivision and Tap Root Hills Subdivision. View our selection of available properties in the Cool Springs East Subdivision area. Get to know Cool Springs East Subdivision better with our featured images and videos.